To get started, download the 14-day no risk free trial. You get two weeks to hammer away at PerfPRO and run through everything it has to offer. By then you'll know if PerfPRO is right for you. 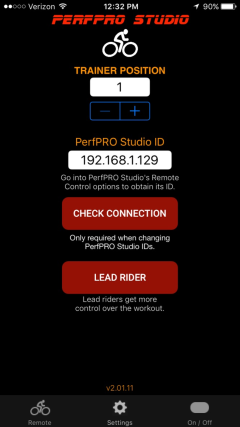 Control the workouts and all of your rider displays on your Windows machine from your iOS device. This replaces all ANT+ remote controls and provides much more power and functionality at a fraction of the cost. Currently only available on Apple iOS devices. 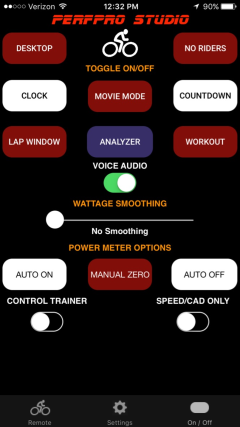 Android option coming soon. A PerfPRO Studio installation on your Windows computer is required. 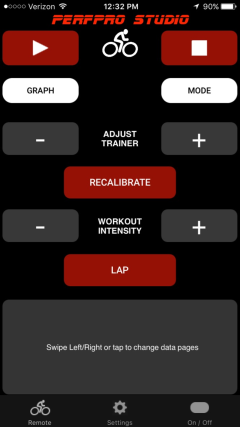 All of these software applications are designed to make you a better athlete. Download and try any of these applications for 14-days, absolutely free. ANT™ Wireless is a division of Dynastream Innovations Inc.